Scalp is a log analyzer for the Apache web server written by Romain Gaucher. The goal of this tool is to search through the apache log files and detect the possible attacks that have been sent through HTTP/GET. 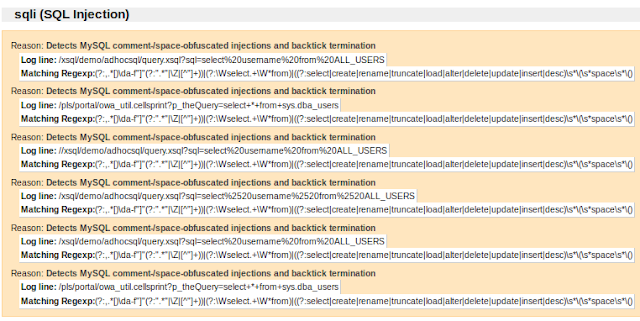 Scalp get the regular expression from the PHP-IDS and matches the lines from the acces.log file. 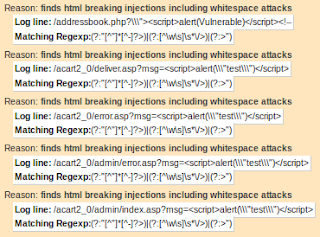 This script is written in python and needs a XML which contains the rules to detect the attacks. You can download Scalp here. You can download the XML file here. See below Scalp help. 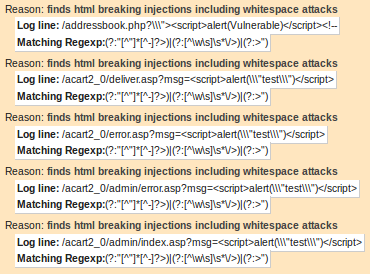 It's interesting run the script and only make searches for xss, sqli, dos.. . attacks. main regular expression; ill-formed Apache log etc. We ran Nikto and some Metasploit modules against one of my own Apache web servers and then, I analyzed the access.log with Scalp. I've taken some pictures of the Scalp html report. 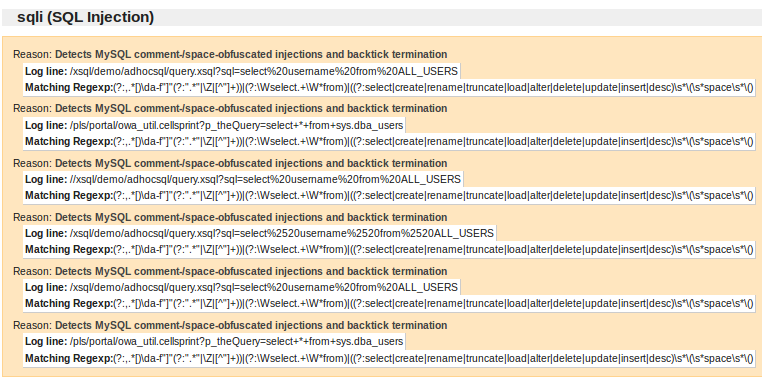 You can see SQL Injection, Local File Inclusion and Cross Site Scripting attacks. to solve this I tried another xml file from http://pastebin.com/uDziqcD5, and its working. Thanks for sharing the link with us!! !